Excellent product, very happy with the door. The product is excellent and seems to fit almost any door. It was delivered quickly. I can’t believe the Bunnings ablution cost more than this. I’m a tradesman, the build quality on this is outstanding. The packaging well thought out. Fantastic product... don’t buy the Bunnings POS. 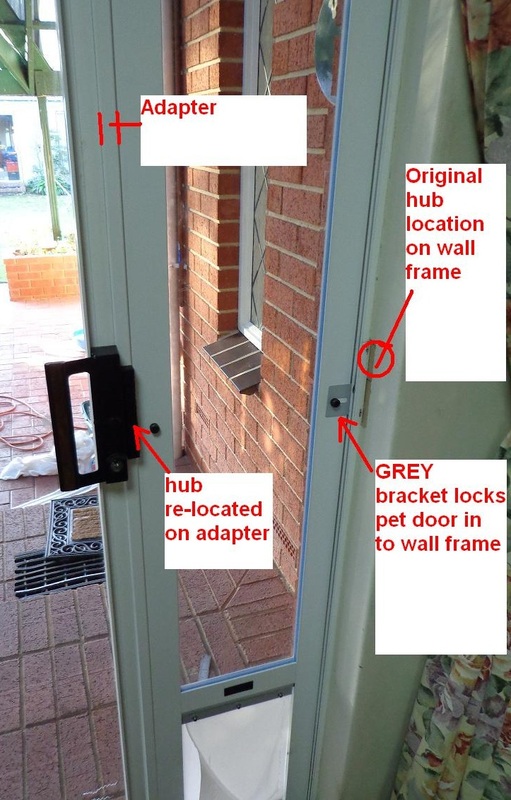 Purchased pet door easy online site for sizes and ordering and instructions. Delivered in exceptionally quick time and installed in 40mins with screen door adaptor. Best product at the moment appears very structurally strong and robust, and should last many years. Very very happy with product.product exceeds expectations very impressed highly recommend. This is my second pet door. The first was for my large dog who has passed. Now i have a small dog and i downsized. These doors are great quality and i feel so much happier knowing my dog has access to outside when i'm not home. Easy to install. Wonderful product, my second one now. Great service, great del to country region NSW. No more getting up in the middle of the night to let the dog out. Bought this door, watched video and installed myself. Very easy to do and the finished product looks great. Very happy with it. Have already recommended it to friends. Very good quality too.